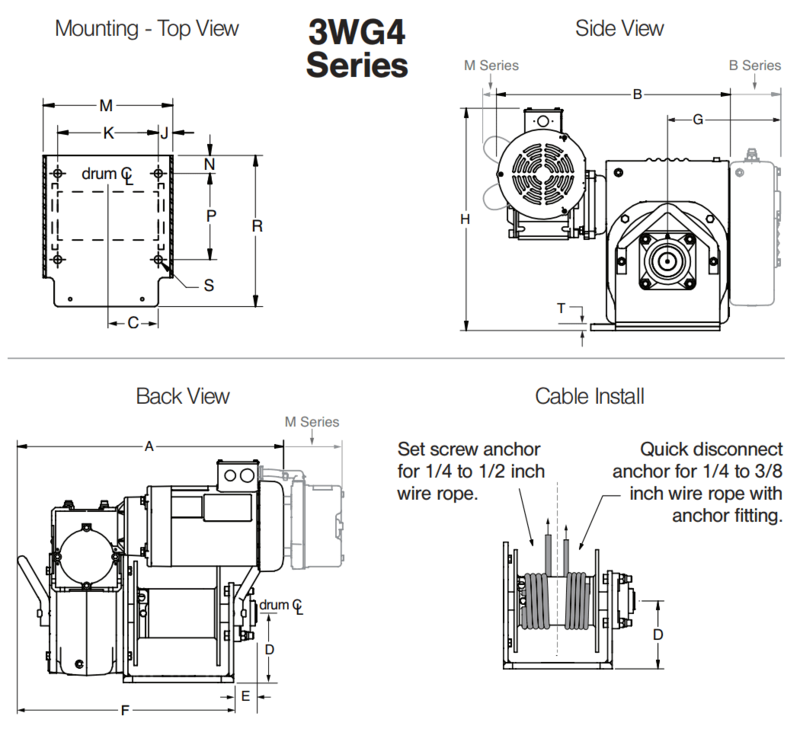 When you need more power but can’t lose portability, the 3WG4 is your go-to winch. With double the load capacity of the 4WP2, you get the power you need with all the convenience of a smaller winch. • Machine Cut Gears provide high efficiency and smooth operation. • Enclosed Oil Bath reduced wear on gears for long operating life. Oil seals keep oil in and dirt out. • Cast Aluminum combines rugged work site durability with a lightweight package. • Internal Mechanical or Motor Brake provides positive load control for lifting and lowering operations. • Ball Bearings provide smooth and efficient operation. • Lifting Handles aid in work site lifting and positioning. • Dual Function Cable Anchor has both standard set screw slot and keyhole slot on drum for quick disconnect with 3/8 inch swaged ball ends. • Mounting Options include floor, wall and ceiling configurations. • Modular Design for easy product customization and quick lead times. Emergency Hand Crank for manual operation in power loss situations. Rotary Limit Winches provide secondary shut-off for load travel in one or two directions. Internal Mechanical Brake available for motor brake models to provide dual braking. Special Finishes for harsh or hazardous environments. 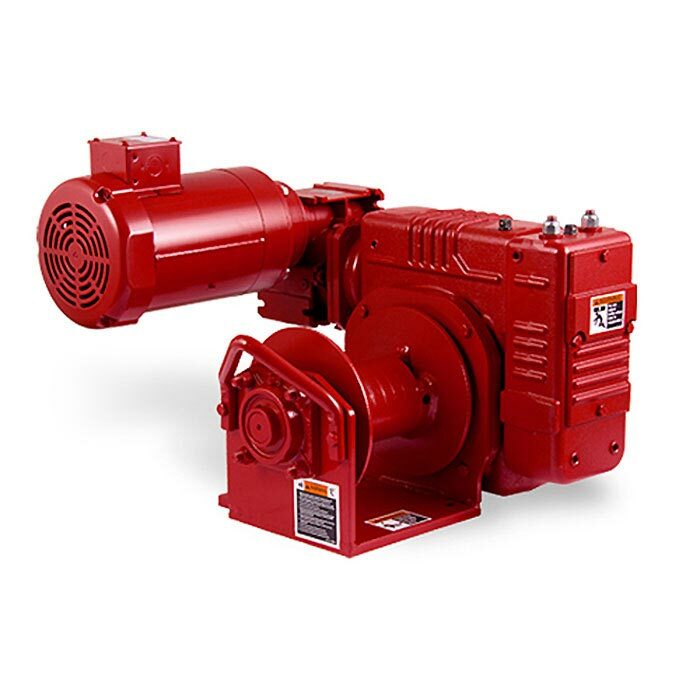 Special Motors and Controls are available in a wide range of standard and custom configurations for single or variable speed. Torque Limiters as part of the motor controls. Extreme Temperature Option available with special seals and motors for high temperature environments - up to 65° C (149° F).